Articles, reviews, reports, and video essays submitted to Alphaville must in all cases be rigorously original and previously unpublished. It is a strict requirement of the Alphaville Editorial Board that all manuscripts and video essays submitted to Alphaville have not, under any circumstances, been either published or submitted for consideration elsewhere. Material that has already been published, including in online journals, websites, blogs or institutional repositories, will not be considered for publication in Alphaville. Alphaville reserves the right to take all appropriate measures in cases where multiple publication or submission is discovered. 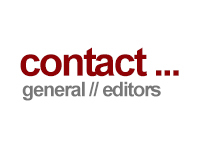 The Editorial Board may consult with the other journal to which the manuscript/video essay was submitted, may return the manuscript/video essay without review, or may reject it without regard to peer reviewer recommendations and may decide not to consider any further submissions from the author. By submitting your material to Alphaville, you accept the conditions of publication. All authors retain the rights to their work, while granting the right of first publication to Alphaville. While Alphaville holds the right of first publication, authors may reuse their material in other publications, but not before the final version has been published and citation details are available. When reusing/republishing material, Alphaville must be acknowledged as the original place of publication and full citation details must be provided. Articles submitted to Alphaville must be original, unpublished and not under consideration elsewhere. Articles should be approximately 6,000 words in length (minimum 5,500 words), including all Notes and References. Please familiarise yourself with the Alphaville Author Guidelines (Articles), which include detailed information on style, formatting, proofreading and submission. All submissions must also adhere fully to Alphaville House Style. Alphaville accepts relevant book reviews (of books published or reprinted within the last three years, from the time of first contact), conference, film festival and exhibition reports (that took place within the last six months) for consideration. While this may from time to time be advertised via a Call for Papers, the reviews/reports section of Alphaville operates on an open call system. Reviews and reports submitted to Alphaville must be original, unpublished and not under consideration elsewhere. They should be a minimum of 1,500 words and a maximum of 2,500 words. Each review and report should engage with its subject in an erudite manner and from an informed perspective. 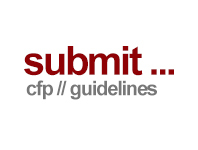 Please familiarise yourself with the Alphaville Author Guidelines (Reviews and Reports), which include detailed information on style, formatting, proofreading and submission. Video essays submitted to Alphaville for consideration will be subject to peer review. They must be original, not previously published and not have been submitted for consideration elsewhere. Any submission must be accompanied by a short reflective/explicatory text and must include a complete Works Cited section referencing all works cited in both the video and written sections of the submission. Alphaville uses the MLA system with some exceptions. See the Guidelines above and our House Style for more information. As is the case for written articles, the fundamental criteria for evaluating video essays are originality, quality of scholarship, cogency of argument, and engagement with current critical/theoretical debates. The accompanying written text must succinctly identify the contribution of the submitted video essay to practice research—how it contributes to the advancement of knowledge and how it does so through its creative use of audiovisual means. Alphaville subscribes to the view that film and screen media scholars are entitled to reuse and quote from the materials they discuss, as enshrined in the principle of “fair use” in American copyright law, on the basis that this reuse and quotation is necessary to the argument being made, serves to support an original analysis or pedagogical purpose and does not unduly harm the market value of the original. Submissions: Videos can be shared via Google Drive or Dropbox or sent by DVD to the postal address on the contact page. Works Cited: To include all works and all film and video sources used and cited in both the video and written sections of the submission. There is no set limit for illustrations in articles, but the Editorial Board reserves the right to restrict the number of illustrations per submission. Authors must seek permission wherever necessary for the use of images from films and other media including stills, clips, posters, etc. and for written material, where appropriate. The Editorial Board of Alphaville will not pay for illustrations and the responsibility of obtaining reproduction clearance rests with the contributor. Once a submission is accepted subsequent to peer review, contributors should immediately begin to request images and permission for reproduction if they have not done so before. As Alphaville is a non-profit-making scholarly journal, contributors should try to negotiate a reduced fee for illustration and reproduction, in the case that costs are incurred. If screen grabs from film, video or television are used in an article for the purposes of criticism and/or review, the Editorial Board of Alphaville considers that it is not always necessary to obtain permission for reproduction to reproduce film stills, as long as they are used directly for these purposes. However, if images are used for purely illustrative purposes, the board advises that permission be sought from the rights holder. Furthermore, authors should only use an amount of images necessary to demonstrate the points being made in the article. With regard to other illustrations, such as photographs, posters, other printed matter and any other images, authors should first establish that the image is protected by copyright and apply for permission for use from the rights holder, if necessary. Full credits should be provided for the source of every image, whether or not permission has been sought. Please check a current Alphaville issue for examples. Each submitted article that is deemed eligible and that abides by Alphaville's guidelines and house style will be sent for double blind peer review. On the basis of the reviews, the editors will then make a decision on whether to accept, accept on condition that minor changes are carried out, allow resubmission after major changes, or reject an article. Feedback will be provided to the author and, in some instances, suggestions and corrections will be given using Word’s Track Changes feature. After any requested corrections have been carried out to the reviewers and the Board’s satisfaction, the issue editors will copyedit the article, paying attention, as necessary, to expression, style, accuracy and formatting. These changes will be submitted to authors for approval. Further changes may be then suggested by the General Editor. Reviews and reports submitted to Alphaville do not undergo blind peer review, but will be subject to rigorous review by the Editorial Board, which can either accept or reject them on the basis of the same criteria as applied to articles. We encourage authors of reviews and reports to treat these as short articles that engage intellectually with their object. The Board may request changes; reviews and reports may be edited by the Board. Any article, review or report received that does not observe Alphaville house style will be directly returned to the author for appropriate revision and resubmission. Alphaville reserves the right to reject an article, review or report at any stage in the editing process. Alphaville reserves the right to not publish commissioned work. While no major alterations will be carried out without the author’s consent, the editors reserve the right to make minor editorial changes to any format, punctuation, grammar, or spelling errors.